After submitting details on their condition, MDLive Go users receive a provider-generated care plan within two hours. MDLive launched a new asynchronous virtual care service last week that lets patients submit describe their condition through a text-based assessment and receive an emailed treatment plan within two hours. MDLive Go — which the telehealth company is demoing this week at HIMSS19 in Orlando, Florida — collects, organizes and documents the results of a condition-specific assessment provided to patients. These are delivered to a MDLive-trained provider who uses the results to build an appropriate treatment plan for the patient and electronically prescribe any necessary medication. The service is currently available to a limited selection of hospitals and health systems, according to MDLive, and supports visits for a selection of acute conditions, chronic issues and certain preventive care scenarios. The company pitches the new product as especially appealing to patients in need of a more discreet and secure means of seeking care. 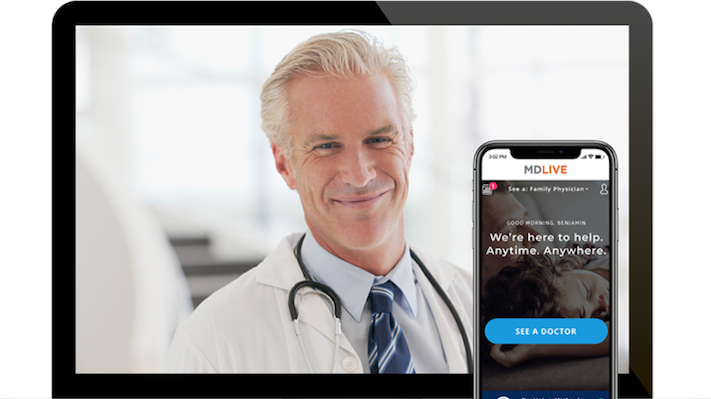 “MDLive Go is our latest offering that enhances the high-quality online healthcare experience our clients offer to their patients,” Rich Berner, CEO of MDLive, said in a statement. “This program brings a new level of convenience and value while maintaining the same quality of care that defines MDLive as one of the nation’s leading telehealth providers. MDLive was founded in 2009 and, according to a recent report from mobile app analytics firm App Annie, is among the most frequently downloaded telemedicine apps available to consumers. The company announced a $50 million funding round last August, and in 2017 added the AI chatbot Sophie in 2017 to help its users navigate the platform’s registration process.